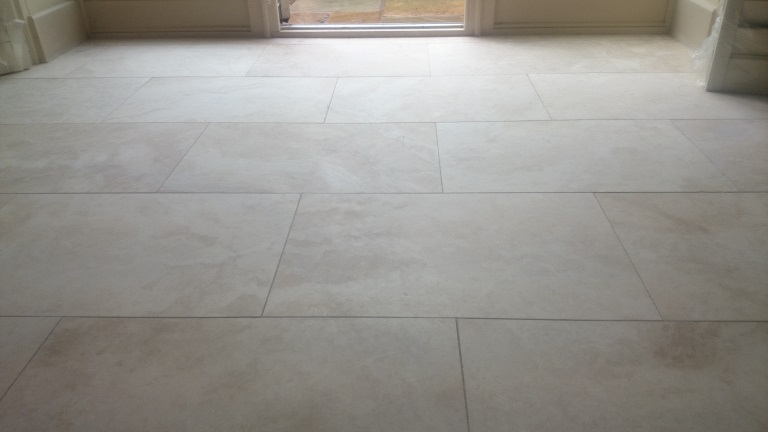 Over time travertine can look dull, dirty and lose that natural stone beauty, it can also become hard to keep clean. 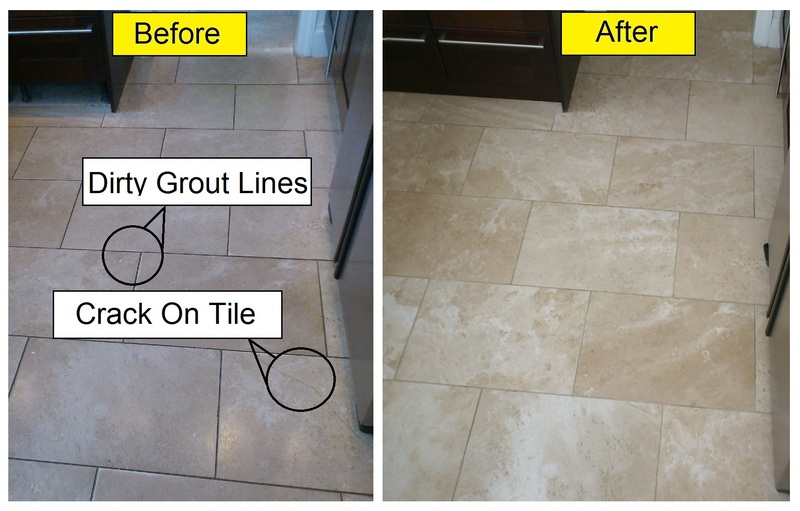 As with most natural stones Travertine can be restored and often looks like new after the right restoration process. Travertine has a honeycombed structure so holes and cracks are common but these can be successfully filled as part of the restoration process. 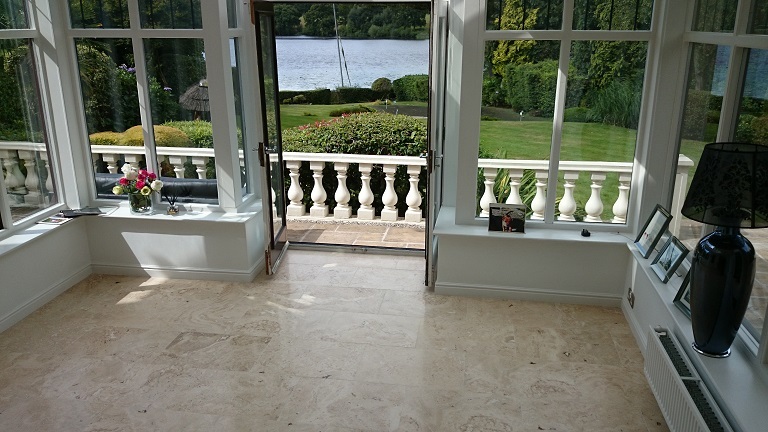 Bond Stone Cleaning have heard many customer say they are about to replace their Travertine, a professionaly restoration is a cost effective way of bring life back to your floor and make you fall back in love with you floors again. 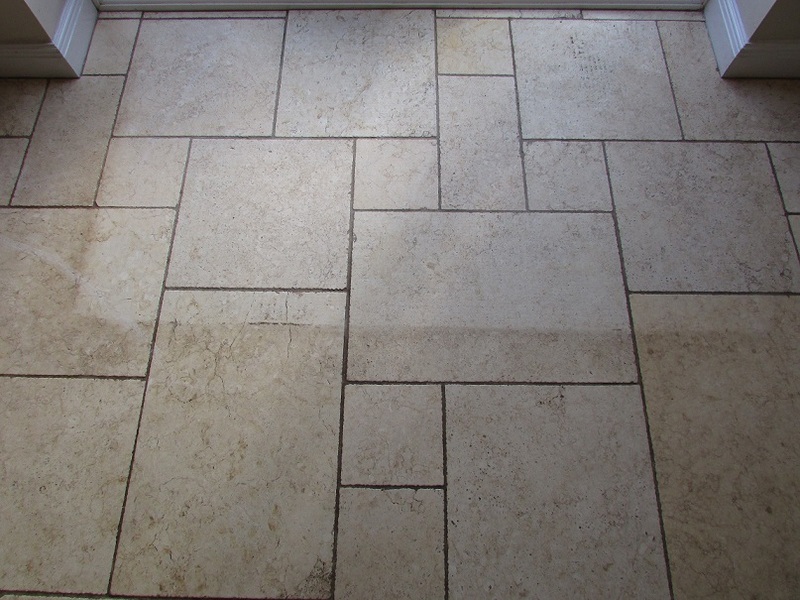 Below are some images of travertine floors before and after they are restored. The Solution To All Your Travertine Floor Problems: Travertine can be beautifully restored at a fraction of the cost of replacing it. Many customers say it is just like when it was first laid, and in some cases even better! The best process to bring your floor back to life is to deep Clean, Polish and then protect it with the right Seal. 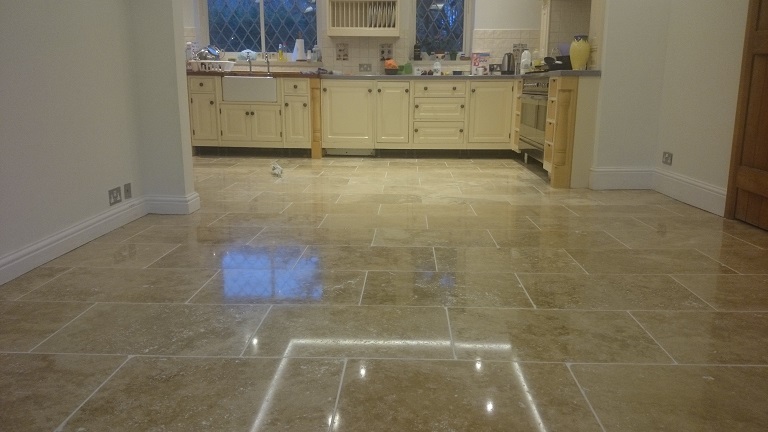 Travertine can be restored to a honed / matt finish or polished to a high shine, although the degree of shine will depend on the type / quality of the stone, most customer choose a sheen which is somewhere in between, this lasts longer and looks great and is easy to maintain. 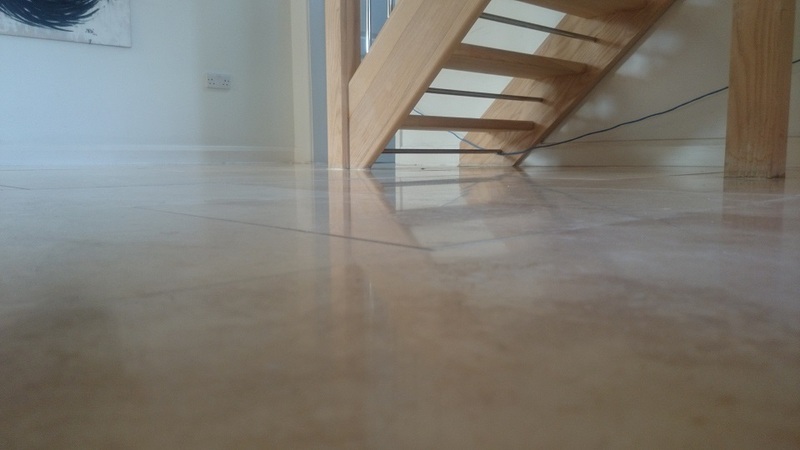 It is important to seal Travertine floors properly, more so than most natural stones. The pores in Travertine are larger and susceptible to collecting dirt and debris, making hard for domestic cleaning product to clean them. The right seal will keep your floors looking better for longer, and cleaning it a lot easier. 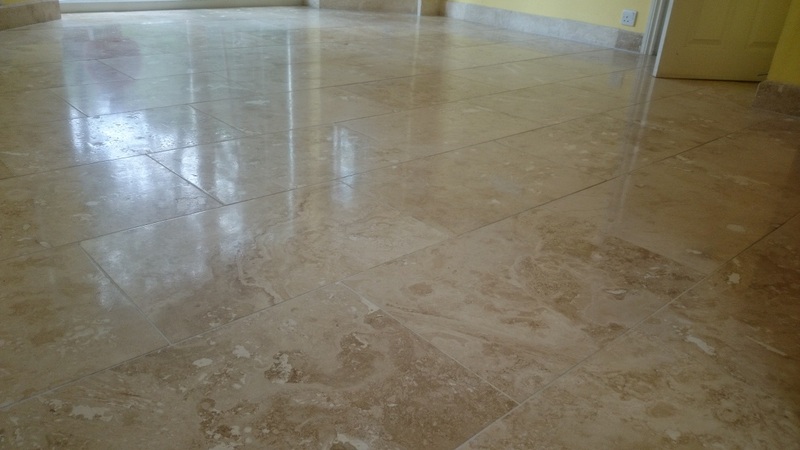 Travertine Floor in Mereworth, Kent Incorrect Seal Removed, Deep-cleaned, Crack and hole repair, polished and sealed. 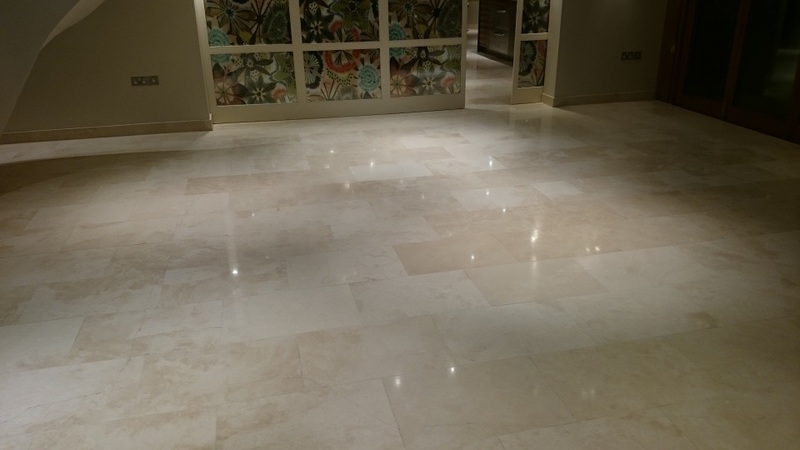 Travertine Floor in Kingswood, Surrey Deep-cleaned, Repaired, Diamond Polished and sealed. 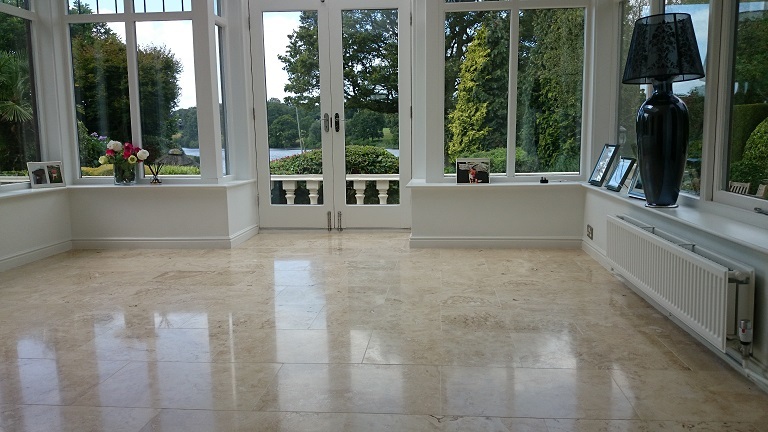 Travertine Floor in Crawley, Surrey Deep-cleaned, Repaired, Diamond Polished and sealed. 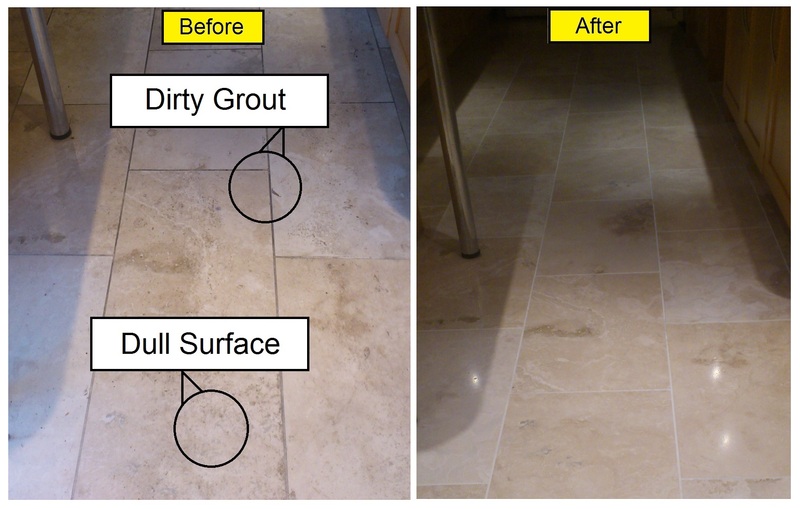 Why Use Bond Stone Cleaning For Your Travertine? Simple, experience and the right process. 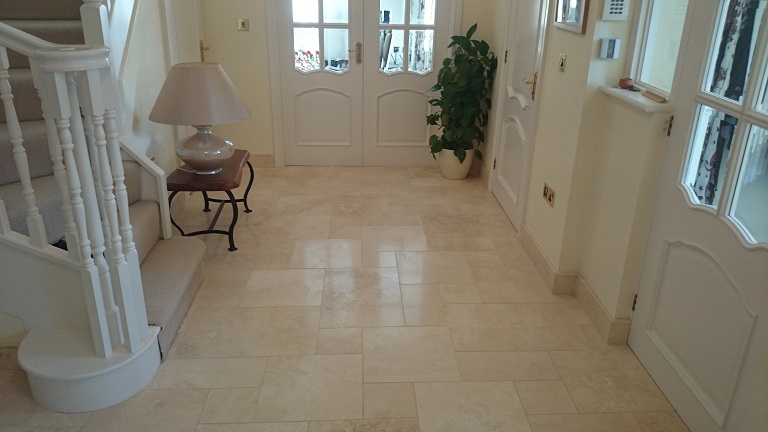 Bond Stone Cleaning have developed their own process which brings your Travertine back to life and will keep it that way for a lot longer. They are not franchised, tied to any one process, system or supplier so they get the right mix of these things to ensure the work is carried out to get the best results. An example of how they differ is an additive which is used during the diamond polishing process, this stops the slurry binding to the grout lines, making them look better and cleaning, not many stone cleaners do this, but you will notice the difference. 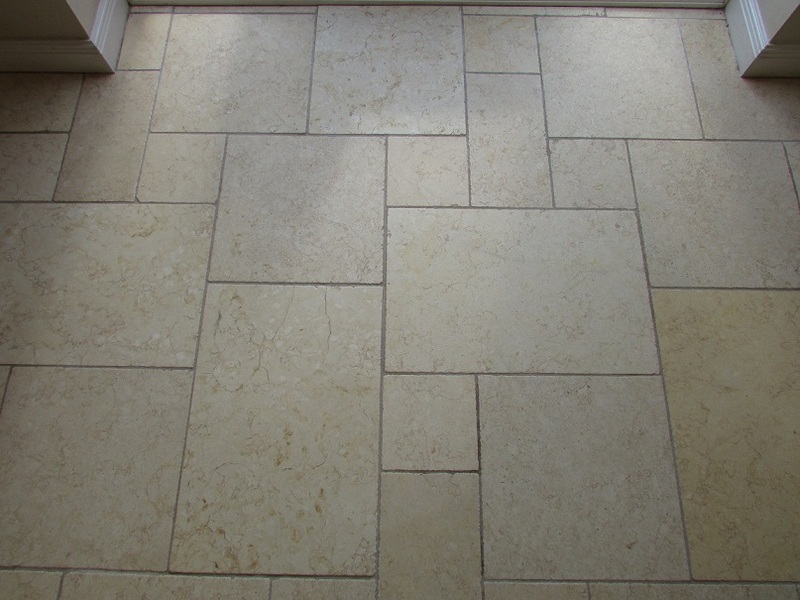 Travertine is actually a type of Limestone and is sometimes call Travertine Limestone or in somecases even Marble Travertine, although this is often down to the look of the tile. It is mainly quarried in Italy, Turkey, Mexico, Iran, Peru, US and China. And has been used for thousands of years. It is a honey-combed stone which is why you may get holes appear, when it is mined the surface is often screeded with epoxy filler to give it a smooth finish over the whole tile. There are an unlimited number of types of Travertine including: Silver Travertine, Walnut, Mable, Gold, Ivory, Noce & Classic. Finishes include tumbles, filled & Honed, Filled and Polished, Clear Filled and Polished, Brushed, Filled and Highly Polished. Where it is used: Travertine can be used throughout a home, from the main flooring in the kitchen to the shower cubical walls. It is also often used around swimming pools and in wonderful mosaics. It is also used for Tables, walls, steps and other decrative peices. © 2015 Bond Stone Cleaning All rights reserved.